It is 6:20 AM and we are heading to the hospital for Ben's birth. I hope to expand this entry as I find time. I'm going to take a laptop with me, so if I have net access during the slow times, I'll do updates. In the mean time, this link will take you to a chat room where I'll try to hang out if I can get on the net from ParkWest. 5:30 PM -- and here he is! 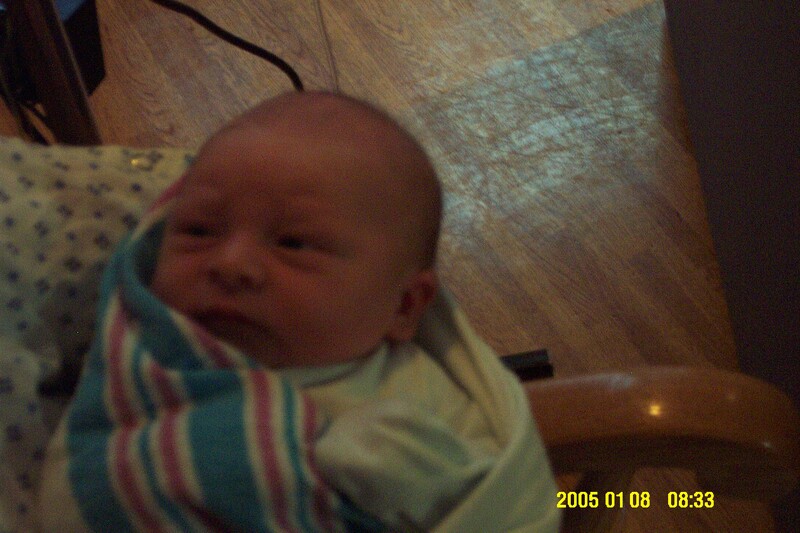 Ben's first picture! Next morning -- Ben and his mom! Congratulations! Beth and Glenn, He's beautiful!! !....Looks just like Aunt Deb! Wow! Congrats Glen & Beth.... Hey, did you pick Ben by combining your names? Well, I won't expect any updates for the next month or two what with all the feedin & diaperin that will be going on, but keep those pics comin! Glenn: Thanks for sharing the photos. Ben is beautiful. I can't wait to meet him. Huggies & Kisses to you all! He's adorable! Can't wait to see him. Congratulations! Congratulations! I'm looking forward to hearing about your adventures in parenthood :]! You guys are going to be awesome parents! He's beautiful, Glenn. Congratulations to you and Beth. dude! he looks like you. Well, it took a while but he's here! 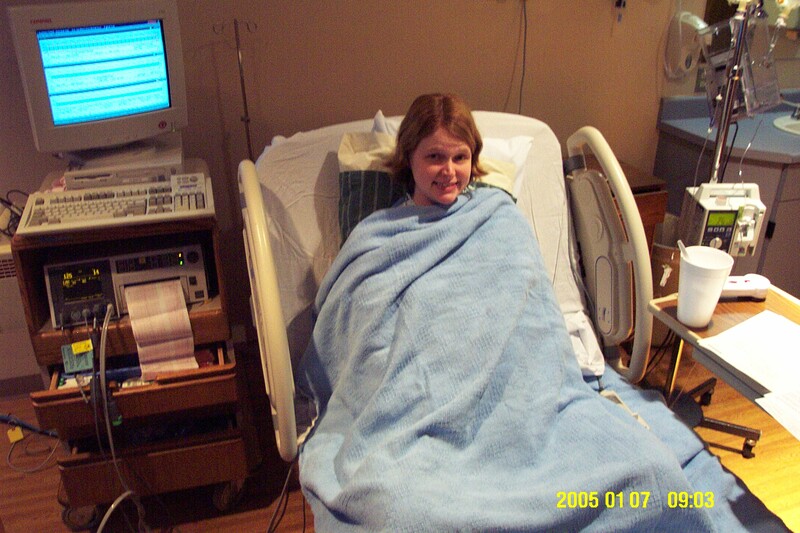 Beth went into regular contractions which were perfect, but he just wouldn't drop all of the way. 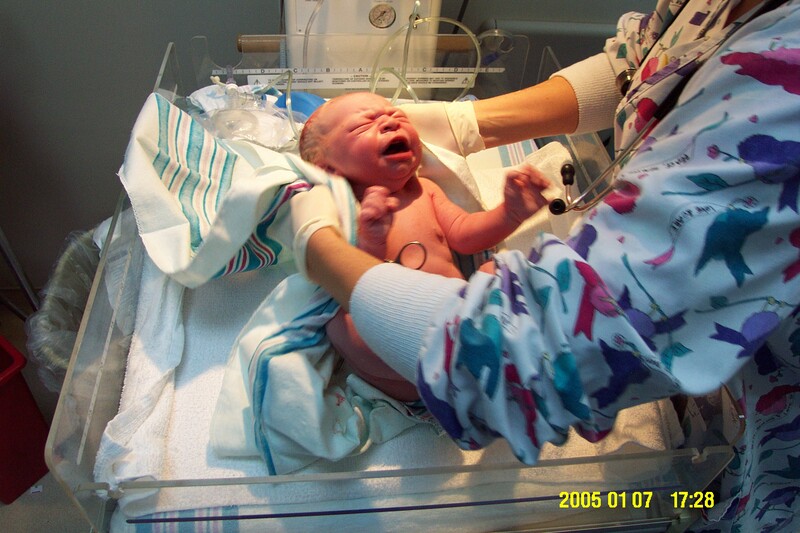 After about 6 hours with no change we decided to go teh c-section route. The put up a curtain so that Beth couldn't see what was happening, but I had to watch. Now I know what the inside of my wife's abdomen looks like. Anyway, after I cut the cord and they cleaned him up, I got to put his first diaper on and hold him while they stiched Beth back up etc. He's perfect. 9 pounds, 1 ounce and 21.5 inches long. It was a long night with feed/sleep cycles occuring every 2 hours and Beth slowly recovering. There's no net access at the hospital, which seems crazy but I imagine there are all sorts of security concerns over letting people bring in laptops and join their network. I guess it aint Starbucks. I'll post what picture I have in a minute. Then I'm going back to the hospital..
Well? What's the status? Don't tell me GlenBot 2.0 is behind schedule. Typical geek. They never seem to deliver the code on time ... har. Can't wait to welcome Ben to the wonderful world of open source. Or will the little guy turn out to be a Microserf? To Whom It May Concern:If you stop advertising on the Glenn Beck shows, I will never use your sevicre and/or products again. I am passing this information onto my friends, family and Internet users. We, the American people, need a person of integrity and honesty to be sponsored by great companies like yours. Many great Americans are finally waking up and are loyal to the companies that are affiliated with Glenn Beck. I will always support those brave enough to stand up for what they believe in spite of attempts to bully and intimidate through this type of extortion. Thank you for advertising with this true American, Glenn Beck!